We're not taking sides between those who support the genuine, authentic and unrestored classics or those who have restored, modified classics or those who are someplace in the middle. 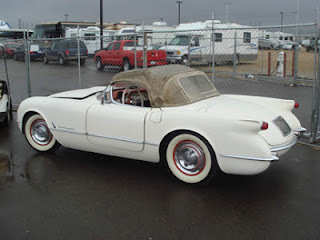 And, just as Garagistry welcomes all makes, models and origins of classic vehicles, we believe there is plenty of room within the hobby for all variations of classic cars, from the pristine to the highly modified custom. 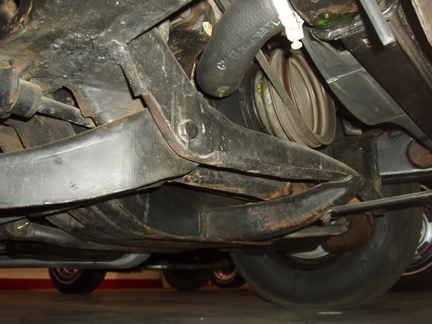 What we found to be interesting to learn more about is how "minor" cosmetic changes can actually have a negative impact on the value of many classic cars. “Documented, “survivor” car. Full documentation. 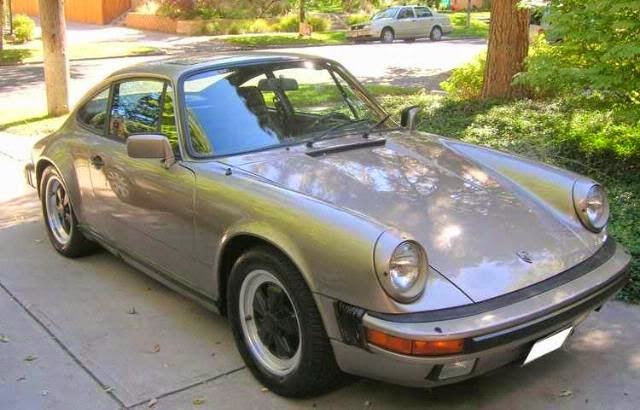 All maintenance records and stamps since this 1983 Porsche 911 was born....Time warp “survivor”. Car Fax clean - never wrecked. 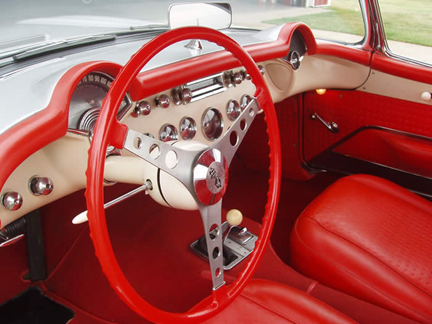 Original interior, wheels, all records. Looks & drives great, Must see"
Nearly every word in each ad could be the absolute truth – we want to believe both cars are indeed great automobiles and will give the next owner many years of enjoyment. Unfortunately, neither ad is 100% correct as they refer to each vehicle as a “survivor” car. 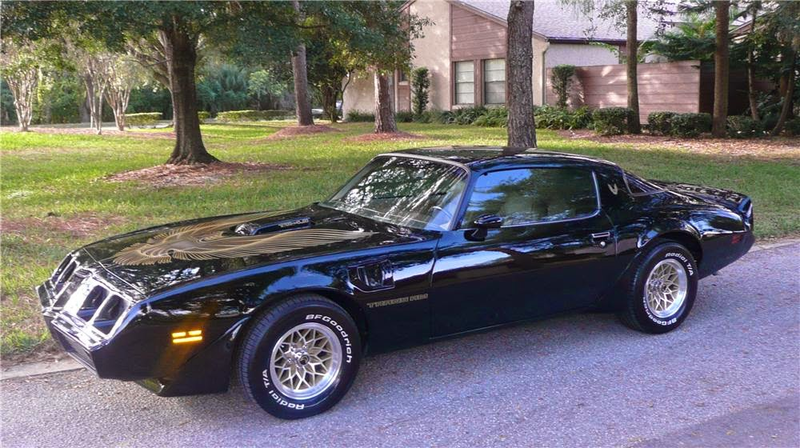 The 2001 Firebird is too new (by 8 years) to be considered for SURVIVOR® car status. 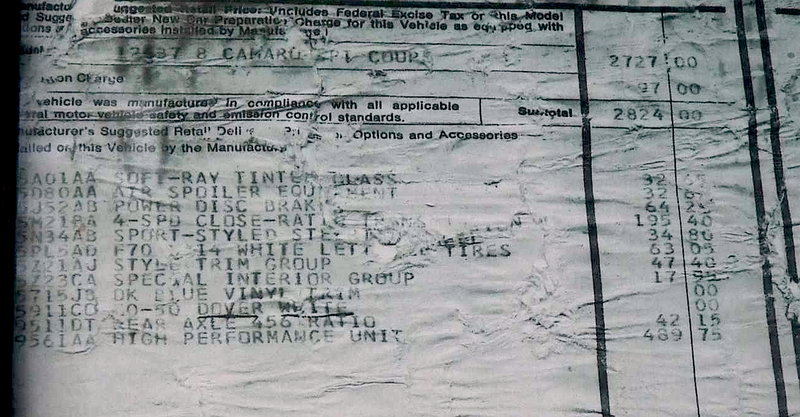 The 1983 Porsche meets the minimum age requirement (20+ years), but reflects none of the documentation required to be rated a Certified SURVIVOR® car. WHAT IS A SURVIVOR® CAR? 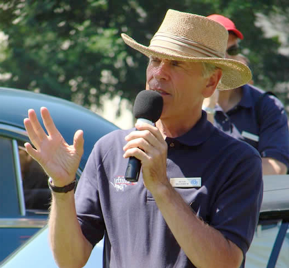 "People can use many other words to describe their cars; Unrestored, Genuine, Original, etc., but SURVIVOR® is a trade name (just like Xerox® or Coke®) and cannot be used legally unless the vehicle has been through our certification process. The SURVIVOR® brand stands for something that adds value to cars....competent inspectors have evaluated them and determined them to be over 50% unrestored original and over 50% of the finishes in good cosmetic condition. Our process certifies this and we put our third party stamp on it. And yes, when people describe cars that have not been certified by our judges as SURVIVOR, Survivor, or survivor, it is actually a federal trademark violation." HOW DOES A CAR BECOME A SURVIVOR®? 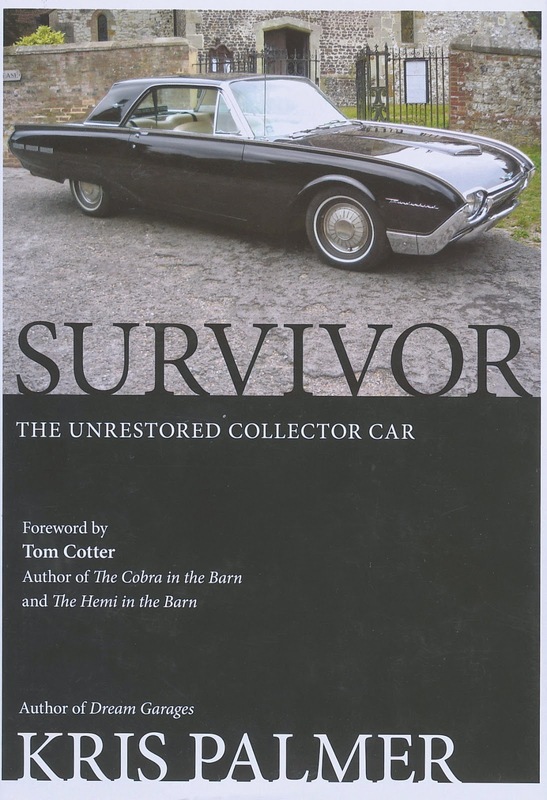 Bloomington Gold, the issuing authority for SURVIVOR® certification, defines their purpose as enabling car owners to receive recognition and inspiration to keep their cars preserved as it was when it left the factory's door - not the dealer’s. The primary objective is to give the public an opportunity to see and appreciate the characteristic “look” of truly original cars. 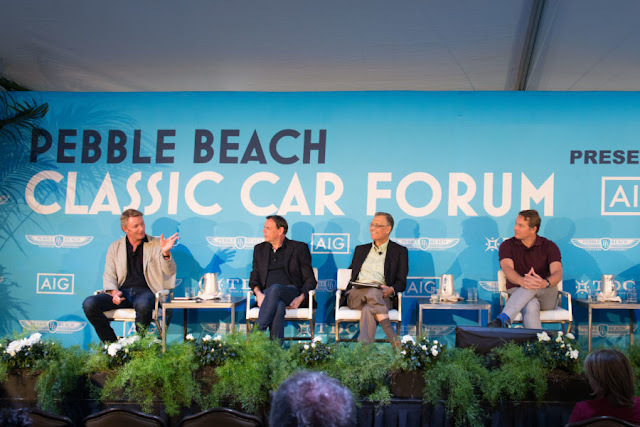 They strive to encourage preservation and conservation of unrestored, factory original, cars by recognizing their historic value and to avoid making purely cosmetic changes or “improvements” to the vehicle. Such an historical record also creates a bona fide library of reference materials for those who need to accurately and historically restore a vehicle that cannot otherwise be preserved or conserved. And finally, Bloomington Gold establishes a brand standard that protects the value for owners who have certified SURVIVOR cars and reduces the potential for misrepresentation. HOW IS A SURVIVOR® CAR JUDGED? There are three distinct classes of certified SURVIVOR cars. And realistically, if you own a vehicle that has qualified for this recognition, you already know this. But for the average hobby enthusiast who may have an original unrestored car, and wants to “dress it up for a car show”, this is for you! Judges inspect only four components for certification: Exterior, Interior, Under Hood and Chassis. Cars must pass at least three of these four categories in order to become SURVIVOR® Certified. SURVIVOR Certified cars are over 20 years old, can pass a 20 mile road test, with over 50% of the car remaining unrestored, un-refinished, or unaltered. 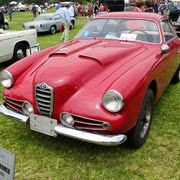 Over 50% of its finishes remain good enough to serve as reference guide for restoration of a car just like it. SURVIVOR Fingerprint Certified car must be at least 30 years old, pass a 20 mile road test, and be over 75% unrestored with 75% of the original finish qualified as a reference template. SURVIVOR ZZenith Certified, the highest rated vehicles must be at least 40 years old, pass a 20 mile road test and is at least 90% unrestored with a corresponding 90% of the original finish qualified as a reference template. David originally certified Corvettes long before such a distinction became valuable or important to most owners. 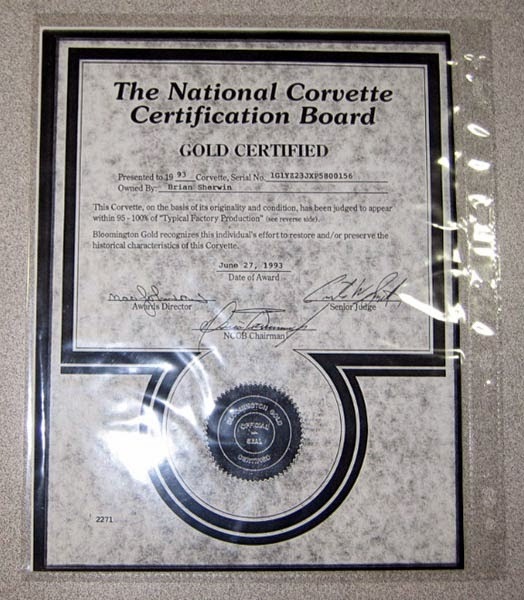 True to his roots, Bloomington Gold has two specific certification levels for Corvettes. GOLD Certified means a Corvette has been "preserved in" or "restored to" within 95% of the way it appeared when it left the factory...no better, no worse, no different. Their standards for authenticity and condition are simple but difficult. The goal is to attain historic perfection - not cosmetic perfection. Typically, that can be much more difficult to attain. Bloomington’s highly-qualified judges are recognized for their knowledge, courtesy and consistency for more than 30 years. However distinctive the Gold Certified certification may be, for Corvette owners, achieving a BENCHMARK Certified status is America’s most prestigious Corvette award. In 1991, Bloomington Gold introduced the ultimate and most difficult judging category, The Benchmark award and achieving this status documents the ultimate standard for unrestored Corvettes.To achieve Benchmark status, an unrestored Corvette must attain Gold Certification and pass all four categories of SURVIVOR during the same weekend to attain Benchmark. 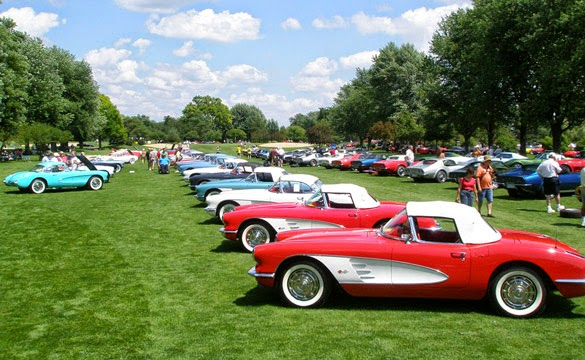 To date, fewer than 100 Corvettes have received the prestigious Benchmark award. If you are in the market for a great classic Survivor Car and the seller tells you the car is a SURVIVOR® but cannot produce the certification, Bloomington Gold can confirm the accuracy and authenticity of such a claim based on the VIN number alone. They have readily available 100% of the original judging sheets since they began more than 20 years ago. The result: prospective Buyers have been saved from buying a car that wasn't exactly what it was said to be. Others have been confident enough to pay a premium for a genuine SURVIVOR certified car. Also, owners of genuine SURVIVOR cars can prove their legitimate claim of such ownership, fully protecting their investment. WHAT DOES THIS MEAN FOR THE AVERAGE CLASSIC CAR OWNER? As David explained, “Unfortunately, we have seen beautiful unrestored, low mileage originals literally have their historical value ruined with a can of spray paint for a cosmetic fix up. 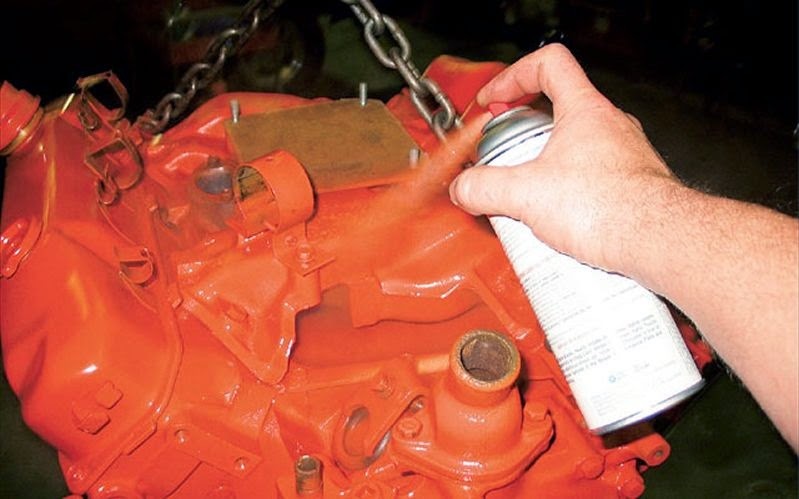 Touching up the paint on factory original components like the engine block, water pump, value covers, radiator, shroud and other engine compartment surfaces is a very common activity among classic car owners. But a misguided one. The impact is simple and real: One more truly historic vehicle has been lost and no amount of money can recover those critical fingerprints of original authenticity. As David continued, "every other unrestored original has just become a little more valuable, and this unfortunate example has lost value." If you have erred with the spray paint, don’t be totally bummed out. The critical factor in the judging is that four different areas of evaluation, and the percentage of the affected components or area within each area of evaluation is well defined. You need only pass at least 3 of the four areas to achieve your Survivor Certification. Bloomington Gold has been very generous working with those who have inadvertently used the term “survivor car” when describing their vehicle. 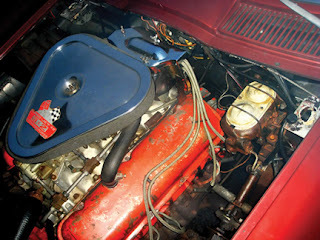 But that’s not the key issue… What is important is the necessity of preserving and protecting your automotive heritage. 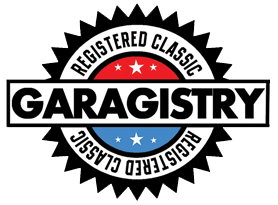 Garagistry encourages every classic car owner to protect their investment in their classic with as much documentation as possible and then protecting that documentation with a secure, private, cloud-based Garagistry Registered Classic™ or Collector Vault™ membership. 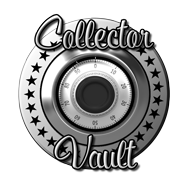 Regardless of what your Classic's status as a collector car may be, current market conditions and trends reflect any Classic with an organized set of records, photos, receipts and stories is more interesting to other owners and prospective buyers. Not that you may be selling your Classic today, but by creating a Registered Classic now, your records will be protected, complete and ready for presentation. The ability to offer these details has been proven to remove doubt in the buyer's mind, the biggest deal-killer and cause of ridiculously low offers. It's really easy to start your own Garagistry. Click here to get the details.